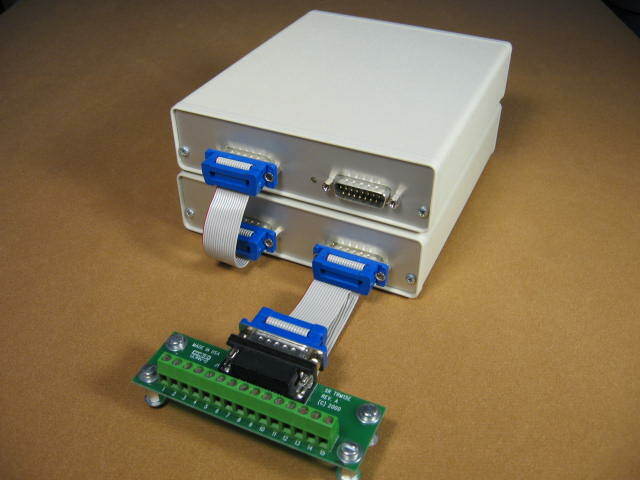 The AMP4CH-DF provides resistor settable gains up to 100x for our PAR4CH data acquisition systems. The inputs and outputs are differential so they provide the best signal to noise performance. The AMP4CH-DF is a 4 channel amplifier for use with differential inputs like those needed to drive the PAR4CH 24-bit data acquisition system. In its standard configuration, the AMP4CH-DF provides a gain of 100 on each analog input channel while using only 120 ma. The AMP4CH-DF allows high resolution acquisition of very small signals. With its standard x 100 gain, the AMP4CH-DF allows signals as small as +/- 100 millivolt to span the full +/- 10 volt analog input range of the PAR4CH. Designed with extremely good noise characteristics, the AMP4CH-DF adds almost no detectable noise to the final acquired data. The AMP4CH-DF comes with all the accessories you need. These include an enclosure that stacks nicely with the PAR4CH and the power and D-shell cables for connecting to the PAR4CH. All you supply are the analog inputs. The gain on each channel is controlled by a resistor. Soldering on a different resistor changes the gain. 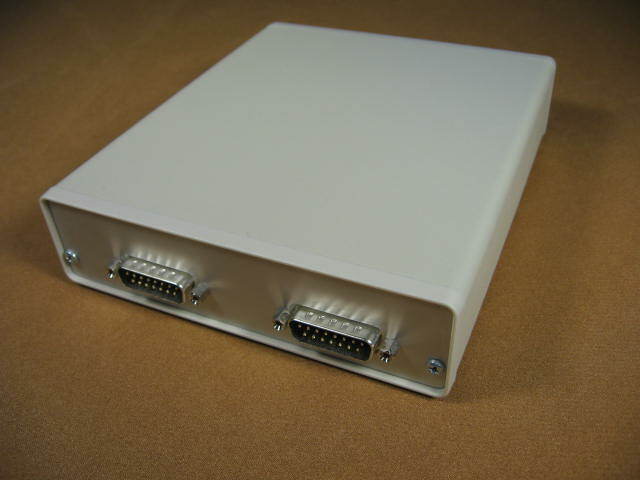 Custom gain configurations are available for a small fee when placing your order. AMP4CH-CHANGE-GAIN Install custom gain resistors on each AMP4CH-DF channel.